an incredible impact in the field of neurosurgery. This anterior, or front, approach, is preferred because it does not involve the cutting of any of the major muscles of the back. A minimally invasive spinal surgery, eXtreme lateral interbody fusion (XLIF) is performed through an incision in the patient’s side. Dr. Ozgur has helped thousands of patients from around the world. Read testimonials from real patients of Dr. Ozgur. Stay up to date with the latest in spinal and neurological procedures and treatments. Read Dr. Ozgur’s latest published book covering Minimally Invasive Spine Surgery, along with other publications. Watch videos to learn more about our office, technologies, team, and latest treatments. Watch in-depth videos on our surgical procedures performed, including pre- and post-op recovery videos. 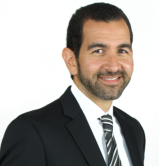 Burak Ozgur, MD is a leading US neurosurgeon specializing in minimally invasive spine neurosurgery for the treatment of spine conditions or injuries in children, adults and seniors, such as scoliosis, chronic back pain, neck pain, degenerative disc disease and more. 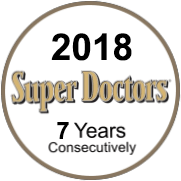 A native of California, Dr. Ozgur is double board-certified by the American Board of Neurological Surgeons and the American Board of Spine Surgery. He completed extraordinary training and education and has built his practice on conservative approaches and minimally invasive procedures that shorten rehabilitation times, preserve native tissues, and maximize treatment outcomes. I had lumbar disc surgery for severe lower back pain and right leg pain with severe, progressive right leg weakness. Pain went away the same day of surgery. Weakness in the right leg is back to normal now. I went from a wheelchair to a walker and now I am off the walker and started to drive my car. I had the best experience and best results with Dr. Ozgur and his staff.